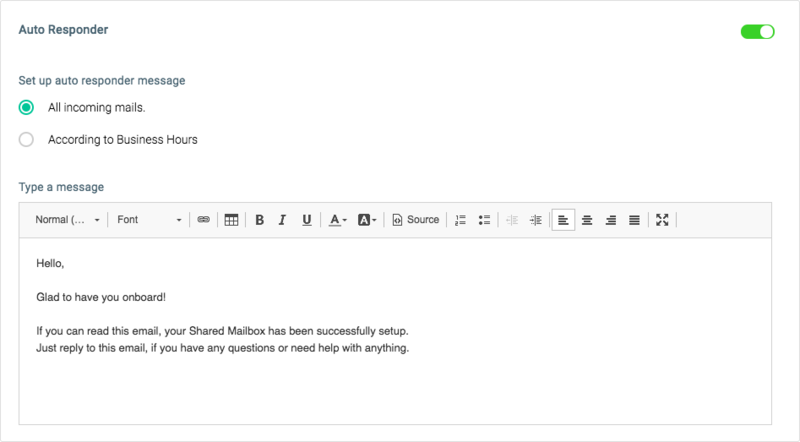 Hiver Admins can set up Shared Mailbox to automatically send a response every time a new email is received in the Shared Mailbox. 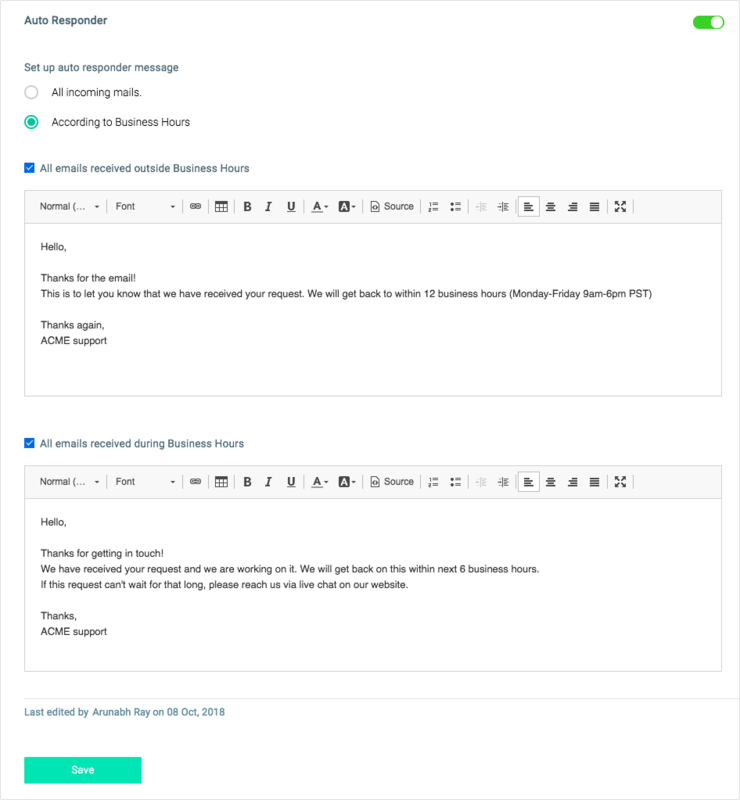 Choose the Shared Mailbox where you want to add the Auto Responder and click anywhere on the row to view the options for the Shared Mailbox. 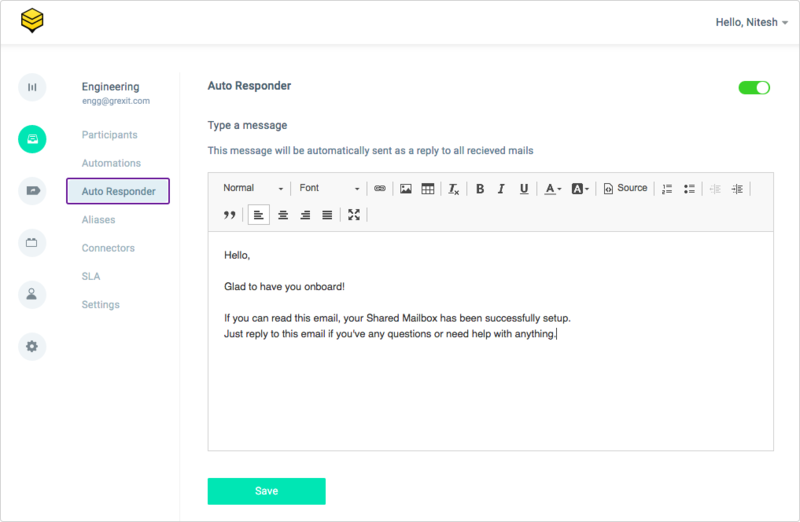 You can choose to Enable or Disable the Auto Responder for the Shared Mailbox. You can either set up an Auto Responder for "All incoming emails" or "According to Business Hours"
When the first email in a conversation thread is sent from the Shared Mailbox email id then the auto responder email will not get triggered. How can I change the email id for a Shared Mailbox?